I'm usually a French toast kind of gal when it comes to favorite breakfast dishes, but after Curtis and I spent our honeymoon in Costa Rica we were both hooked on their traditional rice and bean breakfast: Pinto Gallo. When we came home from our trip, we created our own version we call "Costa Rican Breakfast" that's more of a hash and it's one of our favorite meals for breakfast, lunch and dinner! It's simple, you just need rice, black beans, whatever veggies you have on hand, a few spices and eggs cooked your favorite way! It never tastes quite the same any two times. And we always have this with a steaming cup of coffee (notice our faded coffee mug we brought home from Costa Rica that we've been drinking out of for 6+ years) so we feel like we're back in Costa Rica. Every year for Christmas my mom gives us a big bottle of Salsa Lizano, a Costa Rican condiment that makes this dish. It's available at Mexican grocery stores like the Latin Merchant at Pike Place Market. The salsa is a nice combination of tang and good spices, so when we don't have it I just add a few shakes of a balsamic based salad dressing (for the tang) and some hot sauce. We made this for breakfast on Thursday in celebration of Graham turning six weeks old. I always make a big batch so we have leftovers and that night we used the veggie/bean mixture in our fish tacos when Beauty Jolie came over to meet Graham. 2. Make a hash by combining all your chopped veggies with a can of black beans and season with your favorite seasonings. 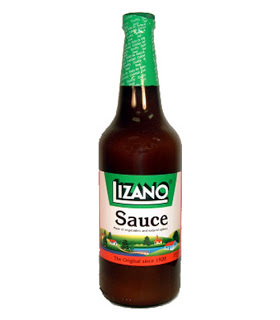 We use cumin, coriander, Salsa Lizano and Sriracha for spice. 6. Top with a runny fried egg or scrambled eggs if you prefer. Garnish with hot sauce and cilantro and we usually serve it on a bowl so we can break the egg and mix it all up. 7. Take a walk so you'll be hungry for your next meal! Wow, wow, wow! This looks really good. I would eat it for breakfast, lunch and dinner. Happy 6 weeks Graham -- what a little muffin! I'd love a mid day cocktail and a visit! Gotta take advantage of my last few weeks of "vacation"! Great post and recipe suggestion! I like the idea of something simple that can come together quickly. Also, nostalgia is always the best ingredient. I can't get enough of Graham! Keep it coming.